(1) a. Wisdom is admirable. b. Patience is better than impatience. (2) a. Pink diamonds are rare. There are also complex construction that seem to stand for abstract objects, for example the number of planets or the amount of patience.Such terms are part of ordinary usage of language and do not require a technical or philosophical context. There are also various nouns for abstract objects that lead us somewhat outside that usage: number, degree, triangle, square, property etc. Such nouns sometimes permit the construction of complex terms for particular abstract objects, of the sort the number eight, the direction north, the concept horse, or even the truth value true. 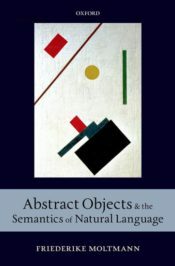 The various terms for abstract objects in natural language are distinguished by construction: some terms are simple, some are complex and they differ in construction. The terms also differ in what they stand for and what predicates they accept, and they differ in their role in language. Some terms truly belong to everyday speech, not requiring philosophical reflection or the explicit acceptance of abstract objects. Certainly terms like “wisdom,” “patience,” “pink diamonds,” and “ants” belong to that. When we talk about wisdom, patience, diamonds, and ants, we generalize from ‘below’, about particular instances of wisdom, patience, diamonds, and ants. With other terms, by contrast, we acknowledge an abstract object as such, and talk about it as an abstract object. These are terms of the sort the property of being wise, the number eight, the direction north, the concept horse, and the truth value true. (3) a. True wisdom is rare. b. ??? The property of being truly wise is rare. (4) a. John needs wisdom. b. ??? John needs the property of wisdom. (5) a. Mary rarely encounters true wisdom. b. ??? Mary rarely encounters the property of being truly wise. (6) a. Wisdom is admirable. b. ??? The property of being wise is admirable. (7) a. The property of being wise and young is conjunctive. b. ??? Wisdom and youth is/are conjunctive. (8) a. The property of being pure is negative. b. ??? Purity is negative. Blossoming Apple Tree by Piet Mondriaan. Public domain via Wikimedia Commons. Thus, a closer look at the linguistic facts shows that there are two kinds of universals that natural language permits reference to, those that have properties strictly in virtue of properties of instances and those that have them in virtue of their status as abstract objects, independently of their instances. This difference between two sorts of universals recalls the distinction between Aristotelian universals, universals that are inherent in objects, obtain properties from their instances and only exist if instantiated, and Platonic universals, universals that exist independently of their instances. It also recalls two forms of modern abstract art, art that that develops abstraction from concrete objects and art whose composition is based on already given abstract elements. The two paintings by Mondrian and Kandinsky illustrate this. 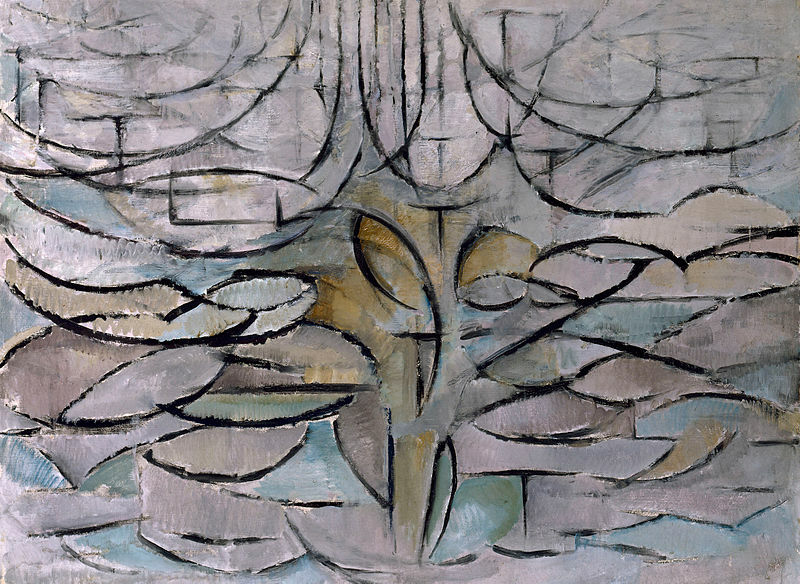 The early Mondrian painting, ‘Flowering Tree’, is almost abstract: it is the result of abstraction from the various features of the concrete tree, except for simple lines capturing the tree’s and the leaves’ shape and overall composition. The late Kandinsky painting, by contrast, is composed of various elements that come from an given inventory of geometrical shapes. Composition 8 by Vassily Kandinsky. Public domain via Wikimedia Commons. There are similar contrasts that can be found with other terms in natural language, for example with the number of planets, which does not refer to a pure number, but retains some of the properties of the plurality of the planets, and the number eight, which does refer to a pure number, an abstract object related to the number word eight. In both cases, reference to the abstract object is ensured by the use of an abstract sortal noun (property, number). Such nouns, and the complex constructions in which they occur, like many technical terms and terms introduced within a special discipline, are not part of the core of language. They are dispensable for everyday speech and they generally require some reflective knowledge about or acknowledgment of the abstract objects in question. In that sense they belong to what one may call the (ontological) periphery of language. They are terms that stand for objects that are not part of the ontological core of language, but belong to its periphery, a part of the ontology of language that includes various objects that may have been introduced for particular purposes. This leads to the hypothesis that reference to truly abstract objects is possible only with terms from the periphery of language, not terms from the core of language. Language in its core is Aristotelian, but not so for its periphery. 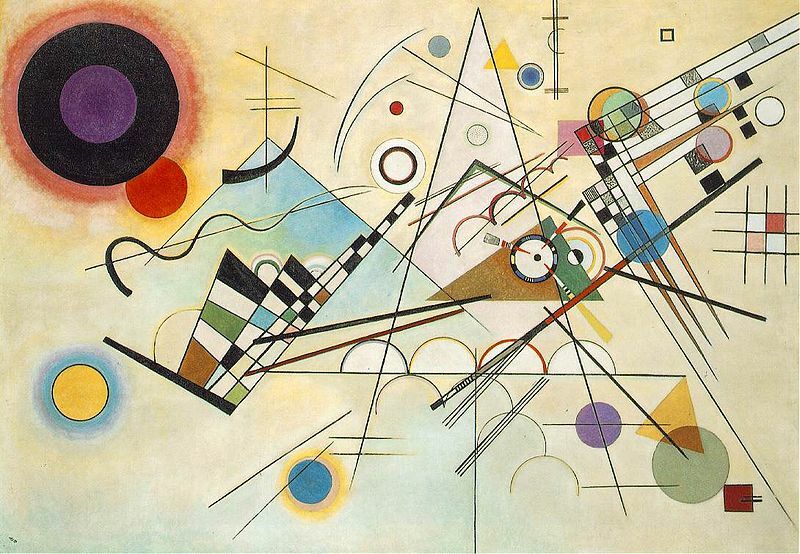 Featured image: Composition 8 by Vassily Kandinsky. Public domain via Wikimedia Commons. Friederike Moltmann is senior researcher at the French Centre National de la Recherche Scientifique and at New York University. She has published numerous articles in both linguistic and philosophical journals and is author of Parts and Wholes in Semantic (OUP,1997) and Abstract Objects and the Semantics of Natural Language (OUP 2013).